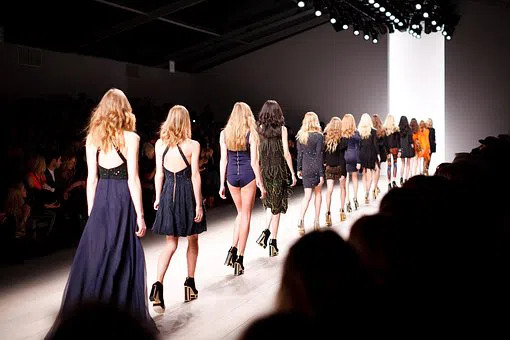 It’s unlikely that you would have never heard of a ‘Fashion Week’ as they do seem to happen somewhere around the world on a pretty high frequency. Europe sees yearly events happening in Rome, Berlin, Madrid, Monaco, Copenhagen and even Transylvania! Asia has events in Mumbai, Beirut, Dubai, Taipei, Shanghai, New Delhi, Jakarta and Tokyo. The Americas see them in Los Angeles and Sāo Paulo. Just a few examples amongst many. But the chances are you’ve only ever heard of four. And I’m guessing those are the Paris, London, Milan and New York Fashion Weeks? You’re not alone, that’s why these events are known as the ‘Big Four’. It’s an event that takes place in the fashion industry which gives the opportunity to designers, brands and so called fashion houses to display their latest designs. The audience at the events is made up of buyers and retailers, obviously, but also members of the influential fashion media, who can effectively make or break a design. In the past the events have generally showcased what is going to be in fashion in the coming season, however, recent Fashion Weeks have seen a trend of displaying fashions that are ‘in’ in the current season. The most recent Fashion Week of the ‘Big Four’ is London which saw its first event in 1984. Milan’s first week was in 1958 and Paris started its couture shows back in 1945. New York outdates all of these. The first New York Fashion Week was held in 1943, right in the middle of the Second World War and the timing of it was very significant. 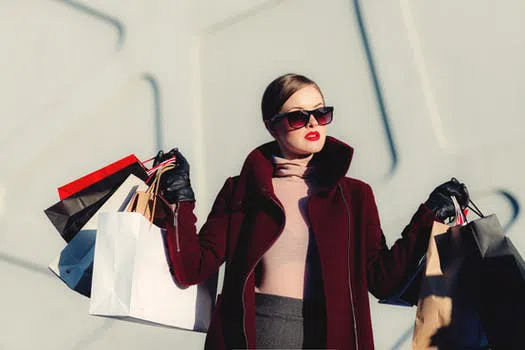 Paris was, even then, considered the fashion capital of the world, but as it was wartime buyers from New York were unable to travel to Paris to make purchases. The event was therefore organised to give members of the fashion industry a glimpse at homegrown alternatives to stock. The New York Fashion Week didn’t appear out of the blue. The first US fashion show took place in New York City in 1903, organised by a shop called Ehrich Brothers. It was hugely popular and other department stores soon followed suit. By the 1920s retailers all over the US were using fashion shows and parades as an effective way to promote their wares. Believe it or not, some of these shows were actually more theatrical than today’s events. Although a lot of them were held in the department store’s restaurants at lunchtime, they came with narration and sometimes even a storyline! By the 1950s these events were attracting people in their thousands. In modern times the ‘Big Four’ hold their Fashion Weeks twice a year each. In February/March and September/October. The main location for the events has moved a fair bit over the years. Up until 1994, there was no centralised place for the events, then until 2009, it was based at Bryant Park. The Lincoln Center then played host to the event until 2015 until it moved to its current home at Clarkson Square. The next New York Fashion Week begins on Friday 8 February and runs through to Saturday 16 February. Though there are events taking place on 6 and 7 of February too. Designer-wise the list is long and distinguished. From Adeam to Zimmerman, with Calvin Luo, Lanyu and Tadashi Shoji in between, amongst countless others. Beyond the fashion shows themselves there’s a whole range of other fashion related events and talks taking place behind the scenes and in between the shows. The talks include ‘How We Changed It’, female designers and noted ‘disruptors’ talk about how they’ve broken boundaries, rewrote rules and subsequently changed the fashion industry for the better. Fashion film screenings include ‘Six Sides of Katharine Hepburn’, a collection of clips showing the actress’s most famous styles, showcased by her various film characters over the years. Special events feature the NYFW Happy New Year, a celebration of a new season of fashion events, hosted by Kronenburg in the VIP Lounge. The New York Fashion Week can be long and tiring, especially if you are an exhibitor. The last thing you want to do is come back at the end of a busy day to a small hotel room. Surely furnished apartments in New York would be a far more comfortable option? Thesqua.re has a range of accommodation in the city, including studio apartments in NYC and larger apartments located just around the corner from Clarkson Square.